Curiosity, NASA's car-sized rover, also known as the Mars Science Lab, is scheduled for launch in late November or early December 2011 from the Kennedy Space Center. 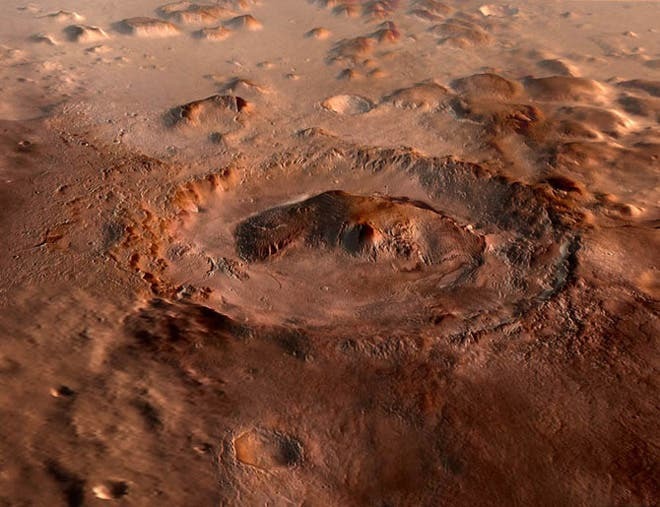 After an eight-month voyage to Mars, Curiosity will land at the foot of a 3 mile high mountain in a crater named Gale. has gone," said Alberto Behar, DAN investigation scientist at NASA's Jet Propulsion Laboratory, Pasadena, Calif. "DAN fits right into the follow-the-water strategy for studying Mars." Mars Science Laboratory Project Scientist John Grotzinger of the California Institute of Technology in Pasadena said, "DAN will provide the ability to detect hydrated minerals or water ice in the shallow subsurface, which provides immediate clues as to how the geology of the subsurface might guide exploration of the surface. In addition, DAN can tell us how the shallow subsurface may differ from what the rover sees at the surface. None of our other instruments have the ability to do this. DAN measurements will tell us about the habitability potential of subsurface rocks and soils — whether they contain water — and as we drive along, DAN may help us understand what kinds of rocks are under the soils we drive across." Information from DAN will also provide a ground-truth calibration for the measurements that the gamma-ray and neutron detectors on Odyssey have made and continue to make, all around the planet, enhancing the value of that global data set. The team leader of Odyssey's gamma-ray spectrometer suite, William Boynton of the University of Arizona in Tucson, is a co-investigator on the DAN investigation, with the major responsibility to provide DAN data products to NASA's Planetary Data System for usage by scientists everywhere. Besides heading the team that developed and will operate DAN, Mitrofanov is the principal investigator for a passive neutron-detector instrument to check for hydrated minerals on Mars' moon Phobos as part of the Phobos Soil Return mission that Russia plans to launch in November 2011. "Measurements by DAN on the Mars surface will be useful for the interpretation of Phobos data," he said.